When looking for an alternative to vegetable stock powder, the search gave me a bit of a headache. It’s required in virtually every recipe that needs a tasty liquid and it’s nearly impossible to find a brand that doesn’t use yeast extract. So for a while, we cooked vegetable stock in large quantities and then froze it in portions. 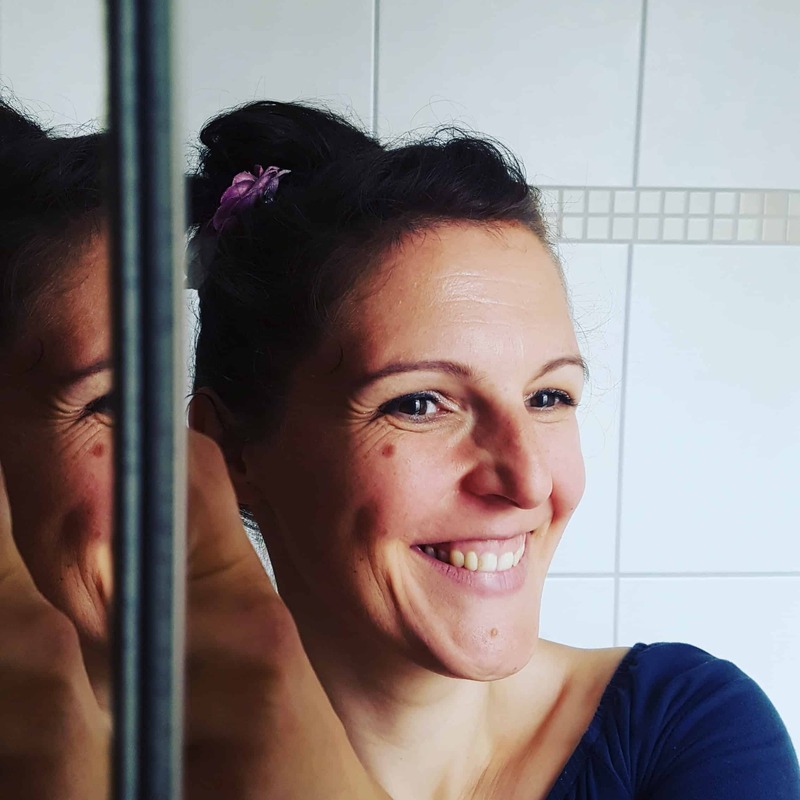 The trouble is – those portions were almost always too much or too little, even when I had some stock frozen in ice cube trays. And who wants to block their entire freezer with what is essentially a lot of veggie-flavored water? Clearly, this approach was not very practical and most certainly no match for the handy little jar that almost magically turns water in a tasty cooking liquid. 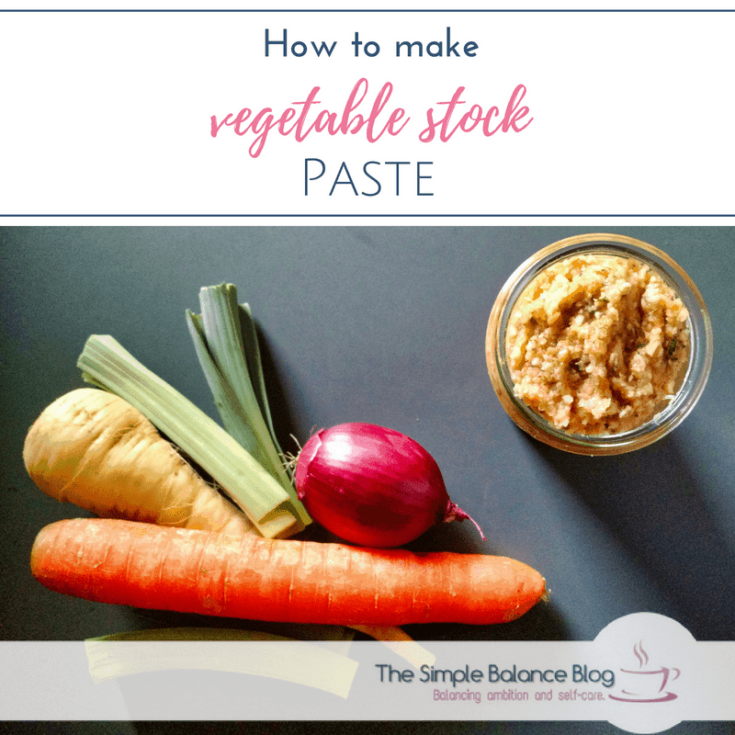 When I came across recipes that have you turn your veggies into a shelf-stable vegetable stock paste – my life was forever changed. 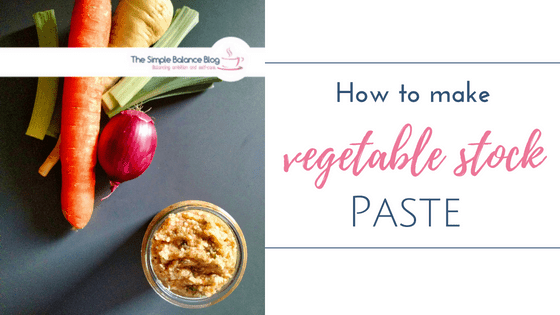 Using this flavor-packed paste, I can instantly produce as little or as much vegetable broth as I need. As an added bonus, you can use it to brighten the flavor of any dish that is “still missing something”. Rather than adding the MSG, yeast extract and coloring found in commercial powders or cubes, you add fresh, real vegetables with actual nutrients to your food, one tablespoon at a time. 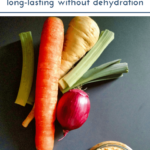 All you need are standard stock vegetables (leek, carrots, onions, celery root or regular celery), to which you add any other vegetables you might have on hand. This is a good time to clear out your fridge, looking for any stray parsnips, green onions or garlic cloves. For even more flavor, you can add sundried tomatoes, parsley, and any other herbs and spices you might like in a broth. Once your vegetables have been washed, cleaned and cut into chunks, throw them into your food processor and chop them up until they are fairly finely ground. Depending on the amounts, you may have to do this in stages, adding the shredded vegetables to a big bowl while working on the next batch with your food processor. Finally, add all the herbs and spices you wish to include as well as salt. Now mix everything thoroughly until ingredients are evenly distributed. If you like a finer texture, feel free to add batches of the finished mixture to the food processor again. A number of people work around the MSG issue by hydrating vegetables and grinding them into a fine powder. But honestly, I can’t be bothered with this extra step. I would, though, if fresh stock paste had to be used up within two weeks. But this delicious flavor punch practically last forever! The secret is the salt which preserves the fresh herbs and vegetables in this paste. Filled into mason jars and stored in a dark and dry space, this stock paste will give you months of carefree cooking. And only the jar that is currently in use should be kept in the refrigerator. However, my special tip is to keep this jar (or all of your paste) in the freezer. The high salt content prevents the paste from freezing solid so it is just as easy to scoop out. To make instant vegetable broth, use about one tablespoon of stock paste for every 2 cups of water. Furthermore, this paste can do more than creating an instant vegetable broth. Use it in salad dressings, soups, gravy, or add it to the water when cooking rice or pasta. 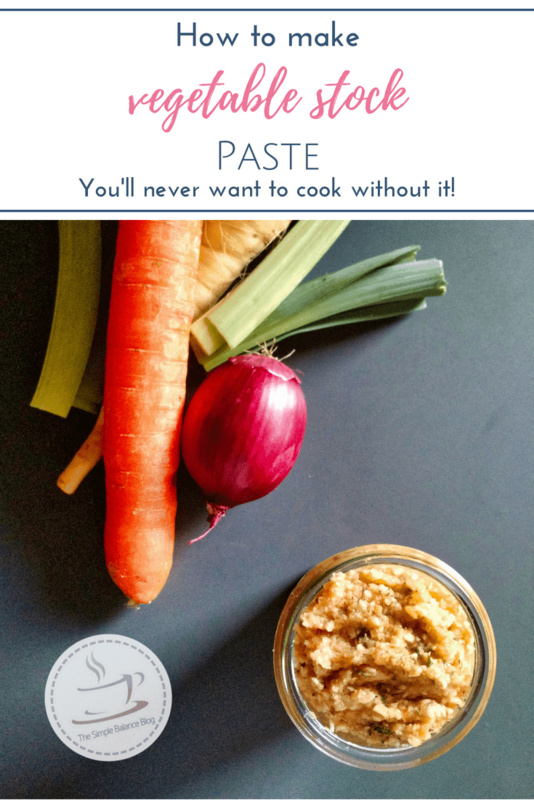 I also love using this paste as a spice mix of sorts – you know, in those moments when you’re pressed for time to get dinner on the table but something is still missing. There are virtually no limits to how you can customize and use your very own vegetable stock paste. If you don’t like the taste of a certain vegetable, skip it. If you ran out of a certain herb, don’t sweat it. The recipe below is really more of a general guide to give you an idea of what works. The only important part is to add about half a pound of salt for every two pounds of vegetables. In most cases, the high salt content will make any further addition of salt completely unnecessary. Therefore, if you are cooking with this paste, leave don’t add any other salt until you’ve had a chance to taste test just before serving. I am constantly amazed at how my dishes turn out perfectly without any further seasoning. #1 Meet with a friend, have the kids play together and spend some time catching up while you both chop and process. You’ll have fun, save time and both end up with a batch of veggie paste. #2 While the kids watch their favorite show, put on headphones, listen to an audiobook or podcast and make this veggie paste. You could also ask someone to watch the kids for an hour while you make these. I promise, listening to something that nourishes your soul will make this feel like me-time with benefits. #3 If all the peeling and chopping seems overwhelming, get frozen stock vegetables. Simply throw them into your food processor, add salt and spices and you’re good to go. #4 If you’re just barely managing to cover the basics, now is probably not the time to try this! If you can’t get vegetable stock without yeast extract, glutamate or hydrolyzed milk/soy protein, don’t sweat it. Use whatever you can and pin this recipe for later. But if you’re up for it, go ahead and raid your fridge to make the first batch of this vegetable stock paste. I know you won’t be sorry! Actually, I’m pretty certain this will become a much-loved staple in your cooking. So much so that you’ll wonder how you ever managed to cook without it. And, pssst – for those times when you really do need a powdered vegetable stock, I’ve got a spice mix coming up for you that is perfect to take on trips. It’s great for camping because it doesn’t require refrigeration once opened – and still no need to dehydrate anything. Stay tuned! 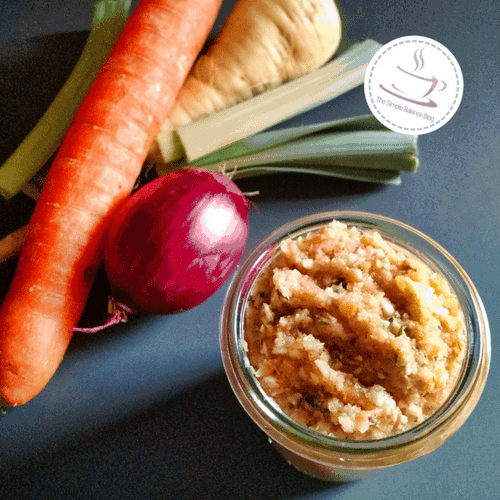 With this DIY vegetable stock paste, you won't ever miss commercial vegetable stock powder! Prepare it once and enjoy carefree cooking for many months to come. Wash and clean your vegetables, removing any peels, roots or cores as necessary. Cut into chunks and add to your food processor or blender. Process until finely ground, if necessary work in batches. Scoop your finely ground vegetables into a big bowl and add herbs, spices, and salt. Mix thoroughly until well incorporated. If desired, process again for an even finer texture of your paste. Fill Mason jars with the finished vegetable stock paste and close lid tightly. Store in a cool and dark area. The jar currently in use should be kept in the refrigerator or freezer where it will last for months. To make a vegetable stock, add about a tablespoon of stock paste to 2 cups of water. Leave out any additional salt in the recipe until you had a chance to taste test before serving. If you don't have a food processor, blender, or meat grinder, you could finely grate or chop the vegetables. Or maybe ask a friend who owns a powerful kitchen device if you could use it in exchange for a jar of this vegetable stock paste. Feel free to add or leave out ingredients depending on what you have on hand! Just be sure to include at least some of the basic stock vegetables which I highlighted in bold print - and keep a vegetable to salt ratio of roughly 4:1 (about half a pound of salt for every two pounds of vegetables).